Coffee and Craft Middleton is crafting group with a difference. Set up just after Christmas it is open to people with physical and mental health conditions and their carers. The aim of the group is to provide a safe haven where people with both mental and physical impairments can bring along either their own craftwork or learn a new skill, here issues can be discussed openly and without prejudice. Sabrina Kitching, who set up the group says that she wanted to create a non-judgemental space where people who might struggle to get out of the house would feel safe and welcome. Sabrina uses a wheelchair for her physical disability, but also suffers from mental health issues like many in the group. Breaking down social isolation is an important aim of the group. Another member is Abbie who lives with Asperger’s syndrome, a form of autism. She comes to the group with her mum, Shelley, who says the group has been really good for Abbie socially. Abbie started crafting when she was 8 years old, making and selling friendship bracelets. In the process raising over £200 towards Sharp Lane Primary School’s sensory room. She also has her own Facebook group ‘‘Ab’spergers where hopes to raise awareness of Aspergers as well raising funds. If all this sounds very serious and worthy, actually the group is very warm and welcoming and members have great fun. It’s two and a half hours in the week when they can catch up and put the world to rights over coffee and some great crafting. Father Andy Myers has made St Cross Church available at no charge while the group gets established, but funding bids are already being written to ensure that the group continues. 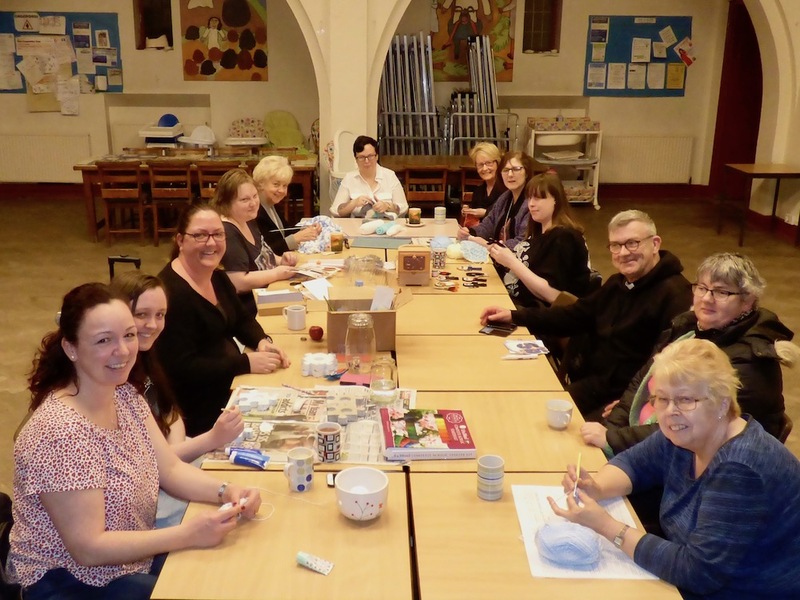 Coffee and Craft Middleton meets every Tuesday 6:15-8:30pm at St Cross Church on Acre Road. It’s open to adults and children aged 13 and over accompanied by an adult.